D. J. Palmer’s Saving Meghan is a story of pure domestic suspense deeply rooted in the medical thriller tradition. This is no surprise when you look at the pedigree behind the work. D. J. is the new pseudonym for Daniel Palmer, an author readers will know from his string of successful suspense novels; but Daniel is also the son of the late Michael Palmer, one of the genre’s most popular authors of medical thrillers. After Michael’s untimely passing, Daniel even wrote some medically-based novels under his father’s name, carrying on the family legacy. 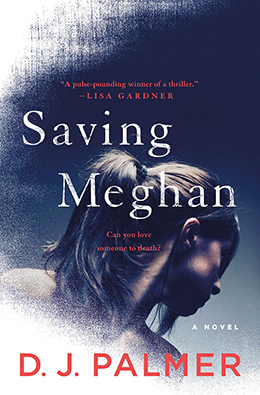 But Saving Meghan is his first attempt to blend these two seemingly disparate sub-genres into one cohesive novel – and in doing so has written one of his best novels yet, one that will appeal to a wide swath of crime fiction’s many fans. At the core of Saving Meghan is a diagnosis of Munchausen syndrome by proxy, a fascinating and complex medical condition. Because the Gerard’s daughter Meghan has been inexplicably ill for most of her life, with no medical tests able to determine the cause of her symptoms, it is only natural that the hospital community would reach for other, more controversial, explanations. Meghan’s unusual symptoms most often appear in the presence of her mother, Becky, which leads many to believe that she may be intentionally inflicting this on the girl as a way of gaining attention for herself. But Carl, Becky’s husband and Meghan’s father, knows this cannot be true and the family continues to reach out to new medical practitioners in an effort to find the true cause. D. J. Palmer uses three points of view to unravel the many threads that tie together to create the knot that is Meghan’s condition. Of course, the main vantage point comes from Becky Gerard, the seemingly devoted mother accused of the unthinkable. Occasionally chapters from Meghan’s perspective give readers insight into what this child is suffering and the confusion caused by the chaos around her. Lastly, there is Zachary Fisher, the one doctor who believes he knows what is causing Meghan’s illness, but is he jumping to conclusions as a way of compensating for his own tragic past? The amount of tension that D. J. Palmer generates from the relatively sedentary process of exploring Meghan’s medical diagnosis is astonishing. 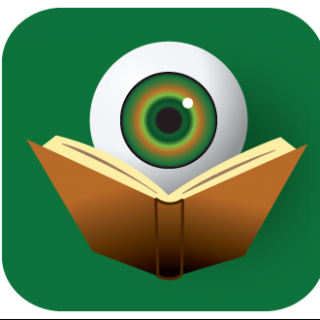 Chapters fly by with the speed of the best thrillers, while allowing room for the deeper contemplation of psychology more commonly seen in suspense novels. This is a gripping narrative steeped in humanity, tugging at the heartstrings even while readers slowly figure out what is going on. Some readers may clue in to key elements earlier than others, but Saving Meghan is so well constructed that it remains successful regardless of when the reader settles on their own theories. Neither domestic suspense nor medical thrillers are particularly revolutionary at this point, but by combining the two together in an interesting way, D. J. Palmer has stumbled upon a formula that could easily become his trademark. Readers will certainly be waiting to see what form the next novel from this man’s newest penname takes. Until then, those looking for a deeply-felt medical thriller should definitely pick up Saving Meghan. Disclaimer: An print galley of this title was provided to BOLO Books by the publisher. No review was promised and the above is an unbiased review of the novel.